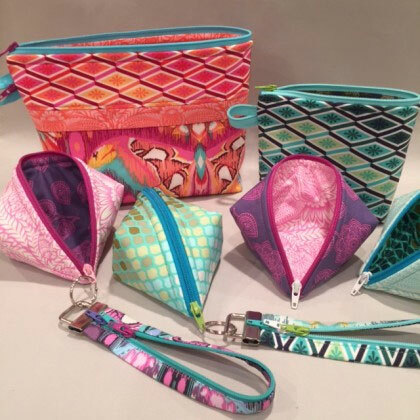 Becca Bags Sewing pattern from Lazy Girl Designs. 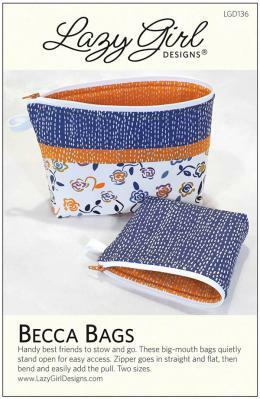 Becca Bags are super handy bags for stow and go! PLUS, they stand open for easy access. Large Becca is pieced with a flange. Add easy grab tabs from leftover zipper bits. With Lazy Girl’s One-Zip technique, cut a zipper apart, take off the pull, then stitch one side of the zipper in straight and flat. 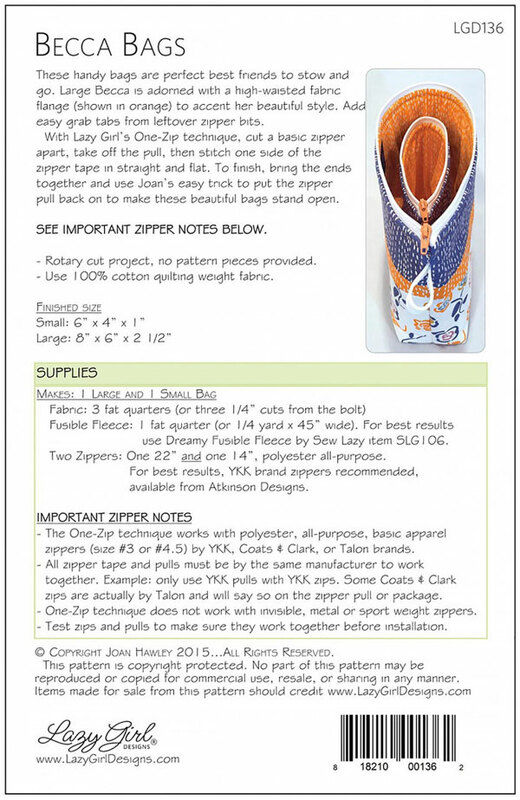 To finish, bring the ends together and use Joan’s easy trick to put the zipper pull back on. For fun, swap zipper pulls and tape from the same manufacturer. 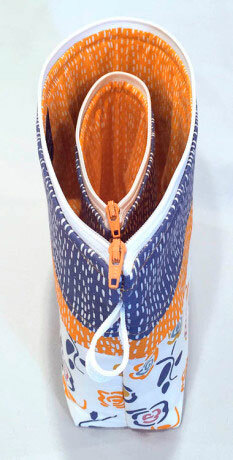 One-Zip works with polyester, all-purpose zippers by Atkinson Designs, Coats & Clark, Talon, YKK. Does not work with invisible, metal OR sport weight zippers. 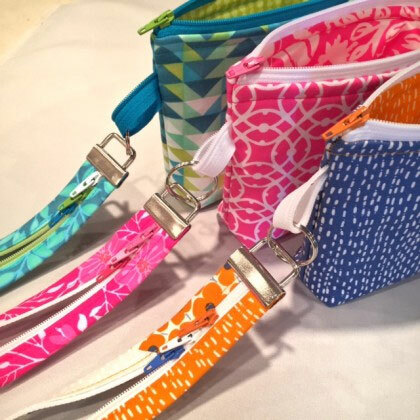 Three fat quarters, 14” zipper, and 22” zipper will make both bags. Small size: 6" x 4" x 1"
Large size: 8" x 6" x 2 1/2"
I've made several of the small Becca bags, and found the instructions to be very clear and easy to follow. Details are given on how to feed the zipper back through the zipper pull after the zipper has been dissembled (One-Zip technique). It took a bit of practice to get both sides of the zipper exactly lined up in the zipper pull during construction, but it wasn't really difficult. A little patience and a couple of pins (that are not mentioned in the instructions) made all the difference. When finished, my bags all look just like the small bag in the photo (except fabric choice, of course), and even the inside is nicely finished. 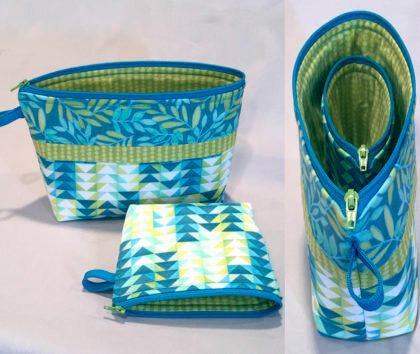 Other than using three exterior fabrics for the large bag, the instructions are identical to those for the small; so it should go together just as easily. 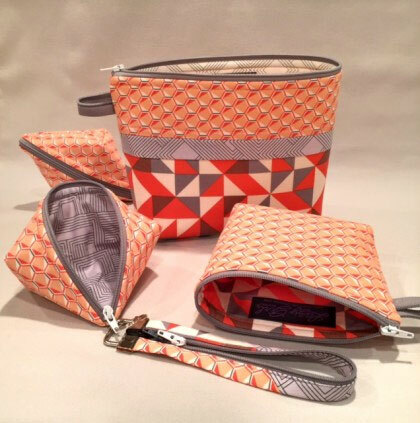 Because of my great experience with this pattern, I will probably try one of Lazy Girl's more complicated purse patterns. 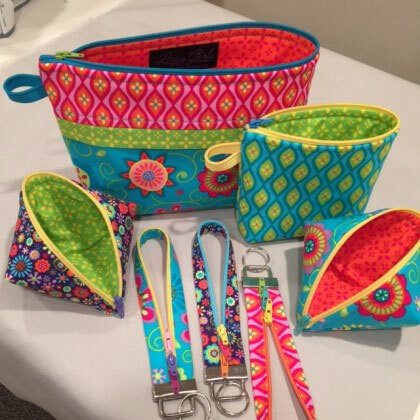 My sewing experience is intermediate. I recommend this pattern. 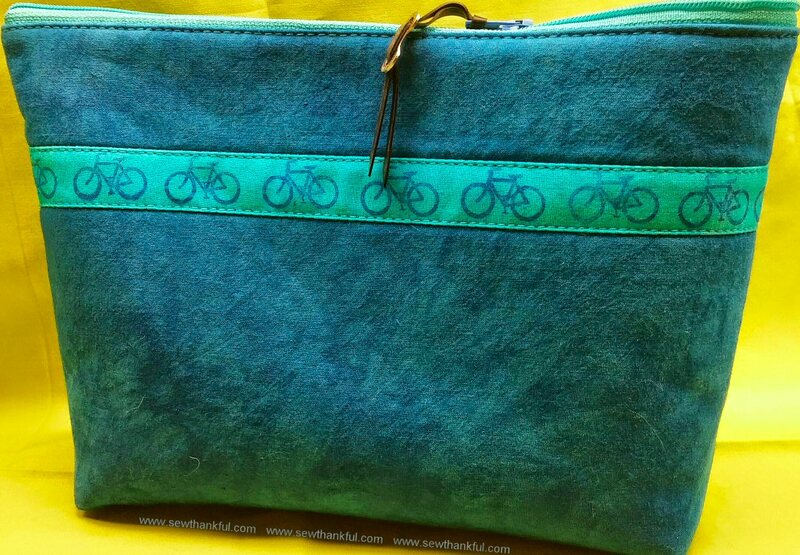 Love the fun and easy to make bag. Zipper is so cool. Using up a lot of my stash pieces. 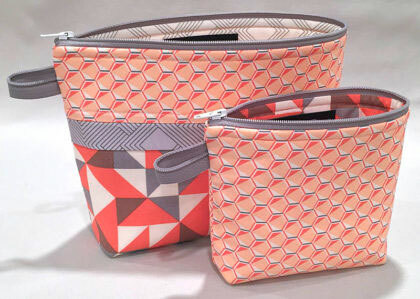 Love the many cute fabic combos to be made for gifts. Thank you so much for fun projects.